The Tinder app has unquestionably revolutionised the concept of online dating with its swipe-to-like interface. 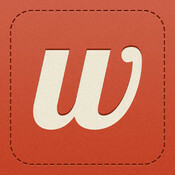 However, if you’re a more career-focused smartphone user you may want to check out Weave. The new iOS and Android app for professionals allows users to log in through their LinkedIn accounts and see a list of nearby people who’re willing to meet up for face-to-face networking meetings. When users encounter a profile, they simply swipe ‘yes’ or ‘no’ to register interest; just like Tinder. Swiping right for yes will enable the chat portion of the app where meetings can be arranged. According to the makers of Weave, 100 people are day are already meeting through the application, which launched in January for iOS and a month later for Android.